​Degree undergraduate and post grad courses in a range of studies related to archaeology are available from UCL’s Institute of Archaeology, Birkbeck College, Kings College, Royal Holloway, Kingston University, University of Westminster and further afield. 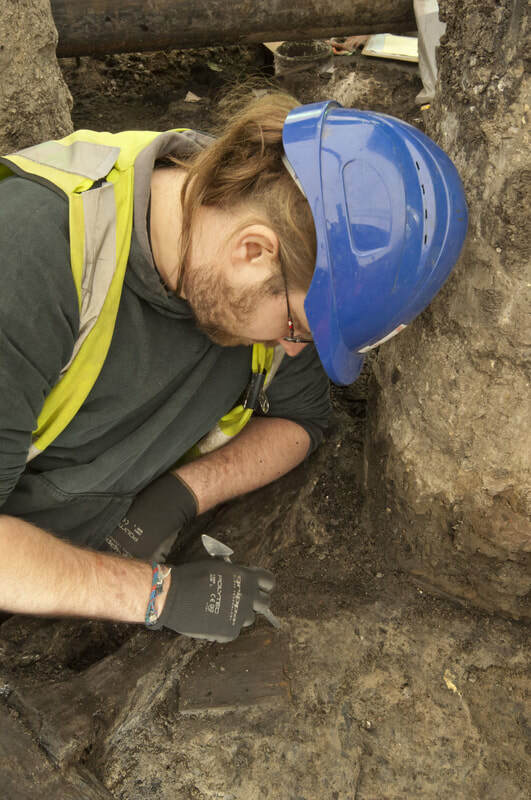 In a number of cases, course modules especially relevant to London and to museum practice are delivered in conjunction with the Museum of London and MOL’s Archaeological Archive. Whereas in the 1980s and 1990s, many volunteer and part-time archaeologists were able to gain certificates and diplomas in the field of archaeology, the fee structure for part-time and extra-mural courses is now prohibitive for many. Certificates of Higher Education in History and Archaeology, which can lead to the second year of a degree course, are offered by Birkbeck, Kings and others, however, though the modules now tend to be more limited in scope. Short non-qualification courses, are still sometimes offered by Birkbeck College, City Lit, the WEA, U3A, and Mary Ward Centre. The Thames Discovery Programme runs courses relevant to archaeology of the Thames, which more than 600 volunteers have now completed. The Museum of London is also active in engaging school children with targeted National Curriculum topics such as The Great Fire of London and using its website to provide resources for teachers and students. YACs and community archaeology projects such as that at Fulham Palace also contribute to education in this way. The Greater London Historic Environment Record also offers opportunities for volunteer work and accepts BA, MA and MSc students.